High hopes for Bridgend College learner Emily. 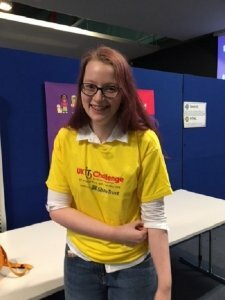 Emily Rautenbach, a BTEC Level 1 Work Skills learner at Bridgend College, achieved success recently at the Shaw Trust’s UK IT Challenge. Hosted by the Shaw Trust and supported by BT, the event is held over 2 days where teams of young people with disabilities from across the country come together to compete in a variety of IT challenges to test ability, creativity and skill using different computer programmes. Emily was thrilled to be shortlisted for the Challenge and was even more delighted when she won the fourth challenge. 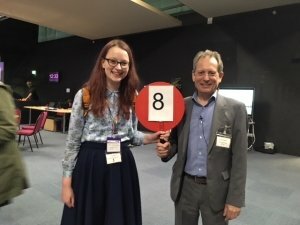 She was awarded a Kindle Fire as her prize and now looks hopeful to be in with a chance to represent the UK at the Global IT Challenge (GITC) 2018 event in Asia. Well done Emily from all at Bridgend College!